We are super excited to be working with Turci to bring you some simple, easy, tasty recipes. 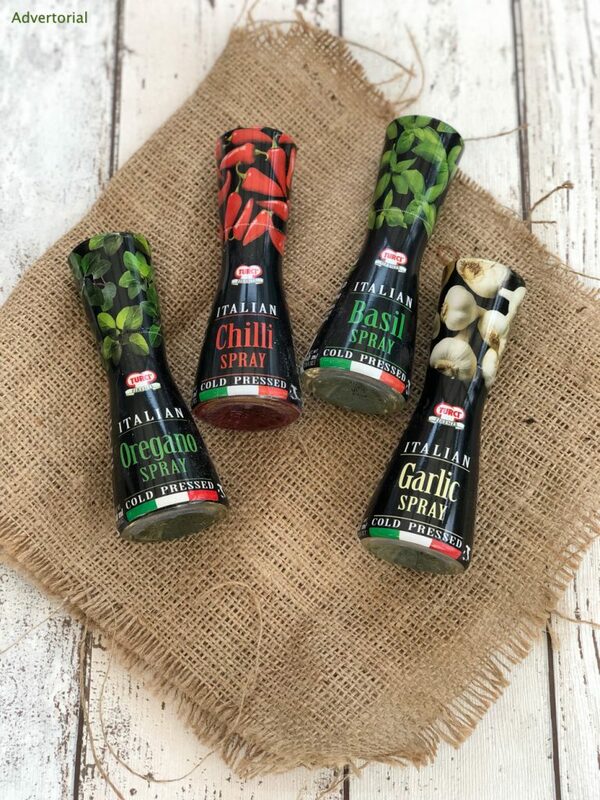 Turci seasoning sprays are a delicious range of flavoursome cold pressed herb sprays that I guarantee will add instant zing and flavour to your cooking the EASY way. These are just such a brilliant idea! As it’s nearly Christmas I know it’s nice to have a few quick, easy, yummy recipes you can just throw together with little effort. 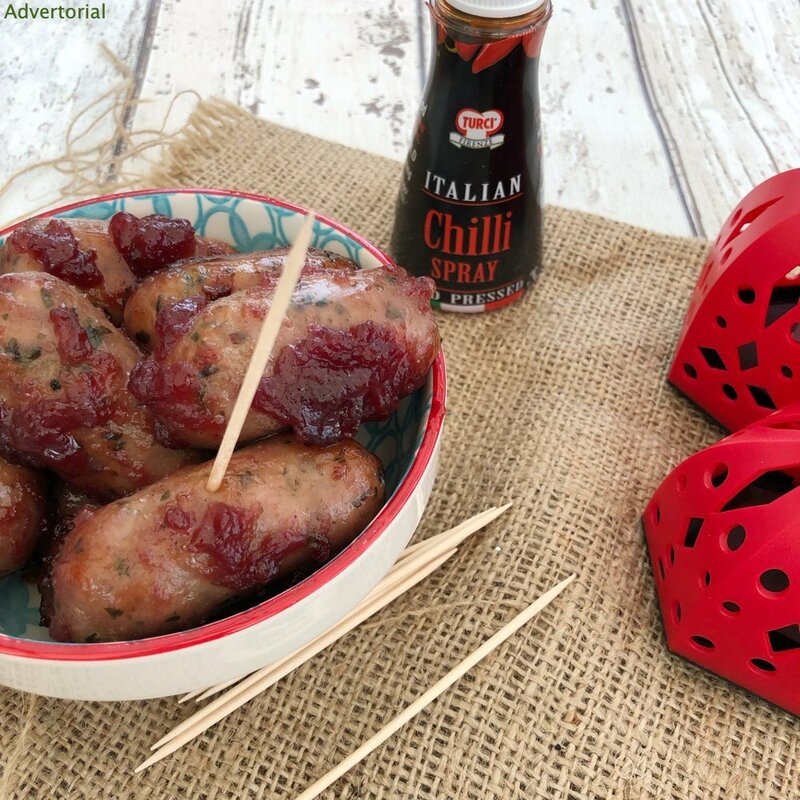 Our little chilli cranberry sausage bites are just delicious! They’re great as part of festive nibbles – which Christmas is ALL about! Best of all you only need 3 ingredients to make these – just how easy is that? You can buy the Turci seasoning spays for £2 at Tesco. Place the sausages in a roasting tin and into the hot oven - cook for 15 minutes. 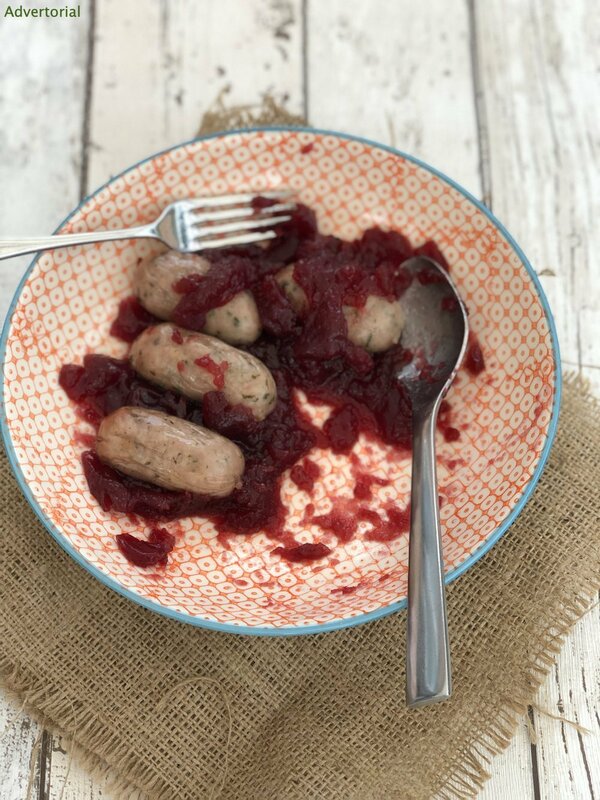 Remove the sausages from the oven - tip them into a bowl with 1/2 jar of cranberry sauce and mix well to coat them. 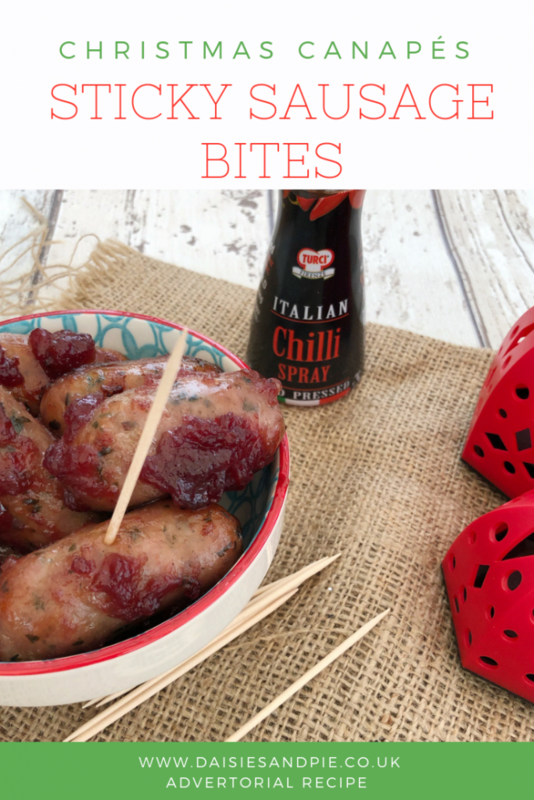 Tip them back into the roasting tin and put them back into the oven for 15-20 minutes or until cooked through properly and the cranberry marinade should be sticky and delicious! 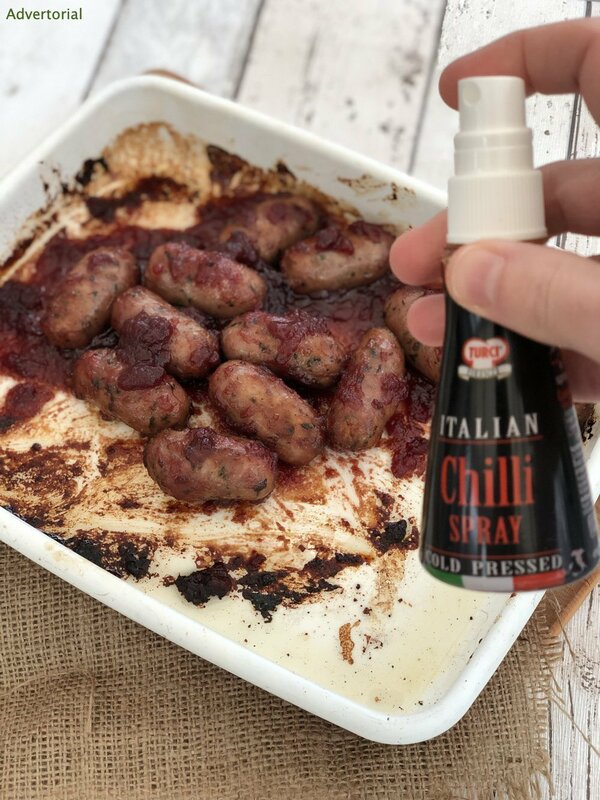 Add 3-4 sprays of Turci chilli spray over the sausages. Leave them to cool slightly then tip into bowls for serving with a little pile of cocktail sticks. Switch the chilli spray for garlic or oregano. Switch the cranberry sauce for marmalade or honey. Perfect still warm in a bowl as part of Christmas nibbles. Serve alongside other festive canapés. 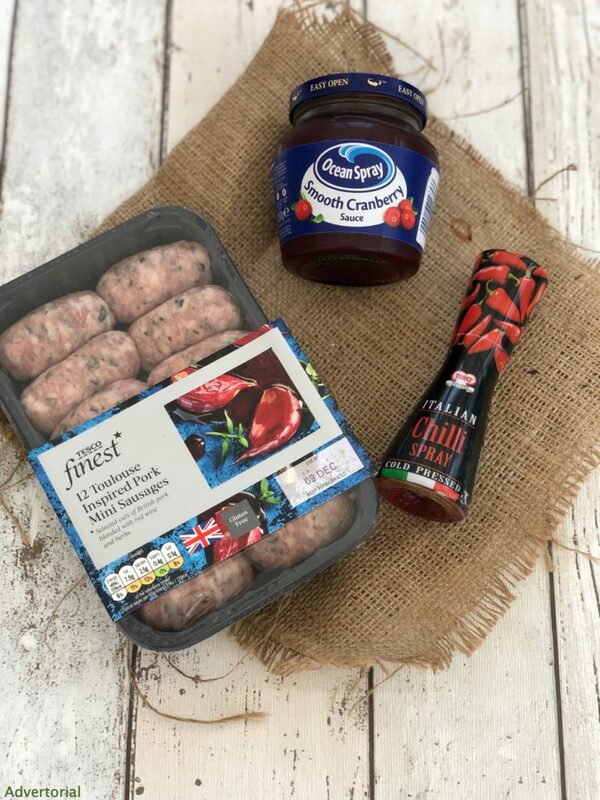 liven up cheese on toast with a blast of chilli heat! spritz over roast potatoes, potato wedges or fries for added YUM! delicious sprayed onto egg fried rice or noodle salad. Disclosure – advertorial recipe for Turci – for full details of my disclosure policy please read here.